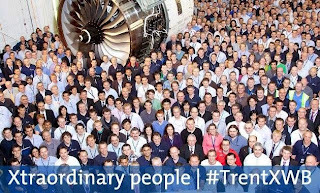 Another award for A350 XWB Program and Didier Evrard. 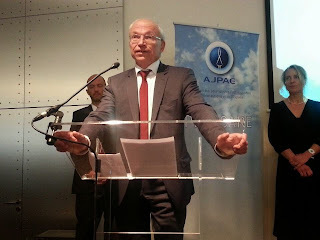 Last week, in Paris, Didier Evrard, Head of Programs at Airbus, was awarded the 2015 Icare prize by the France-based Association for Professional Aeronautics and Aerospace Journalists (AJPAE). 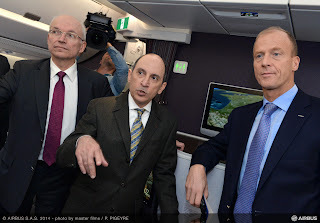 He received this accolade as Head of the A350 XWB Program, a role he held from 2007 to 2014. This association of journalists wished to highlight the exemplary manner in which he led this ambitious program. 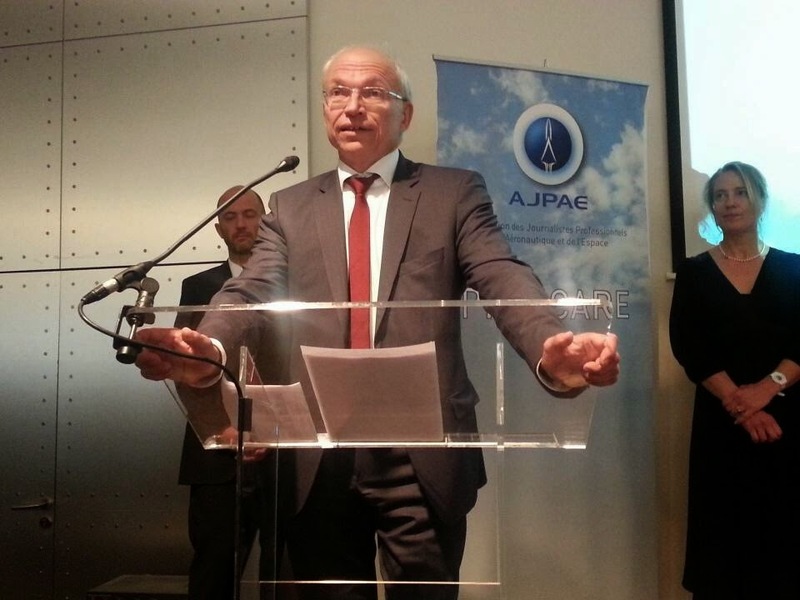 “I am very honoured by the award which is being given to me today,” stated Didier Evrard. 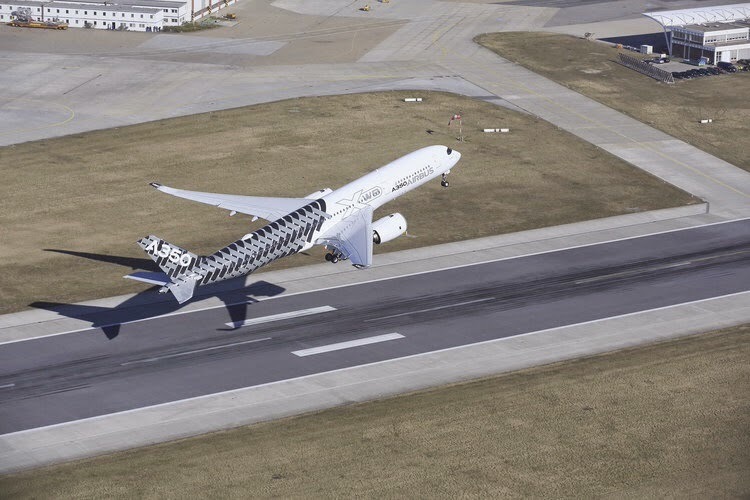 “The A350 XWB development is first and foremost a human adventure, a group effort, and the result of a united team, enriched by its diversity and experiences, committed and passionate. 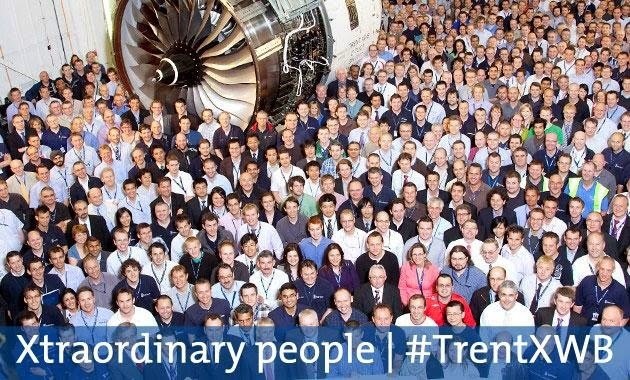 It’s the consecration of several years of work for thousands of highly qualified and skilled people, both at Airbus and at our partners and suppliers. The roadmap was very ambitious. 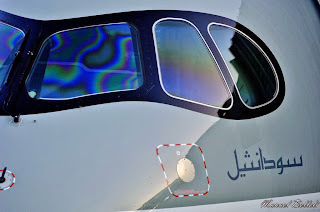 Above all, it was necessary to accelerate technologies which were not yet fully mature in order to manufacture a carbon aircraft, establish industrial bases to support the suppliers and prepare for series production. Together, we successfully confronted the challenges of developing a brand new, cutting-edge technology aircraft,” he added. 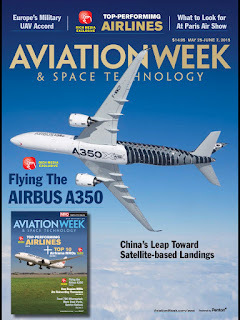 Airbus has invited 4 main media magazines and web-page to fly on the A350 prototype only 3 weeks before the Paris Airshow, assuring front pages and excellent technical reviews and videos on the A350 XWB. 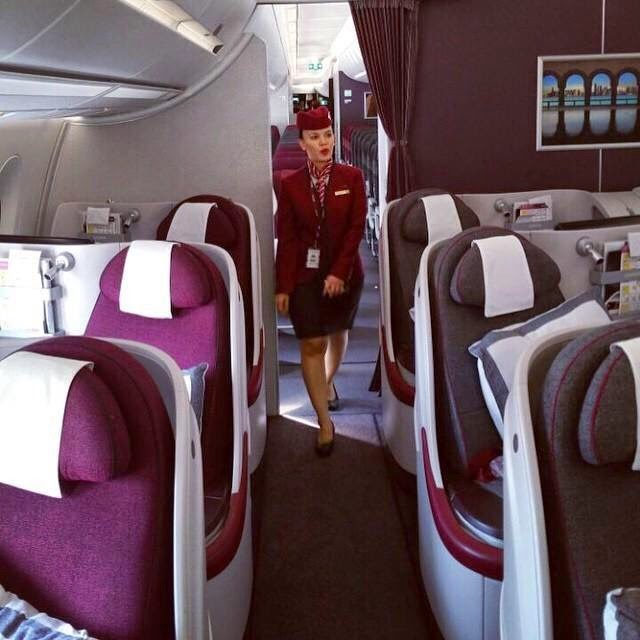 Qatar Airways inaugurates Asia’s A350 service with Doha-Singapore route. 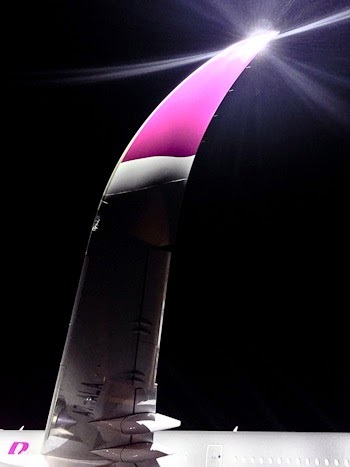 Qatar Airways became the first airline to operate the A350 to Singapore and the Asia Pacific region. 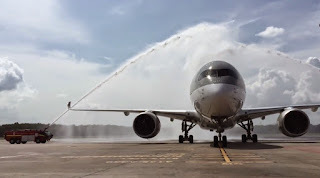 In the inaugural A350 XWB service, upon touching down at Singapore Changi Airport, QR944 was greeted by a traditional water cannon salute, a long-held tradition to welcome special flights or planes to an airport, and an exclusive welcome ceremony. Following Frankfurt, Singapore is only the 2nd route for the A350. The Doha-based airline currently operates a double-daily service to Singapore with the Boeing 787 Dreamliner and the aircraft will be progressively replaced by the A350. 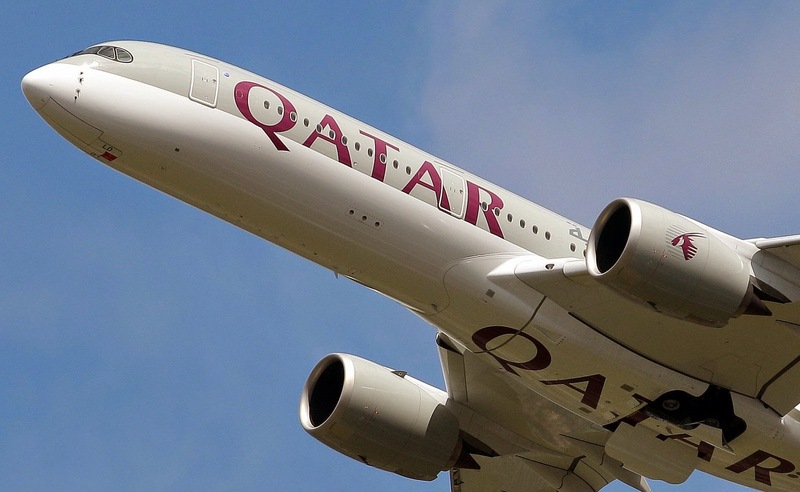 In addition, from later this summer, Qatar Airways will add an additional daily flight to Singapore, as part of its global expansion drive and to cater to the increase in passenger demand. 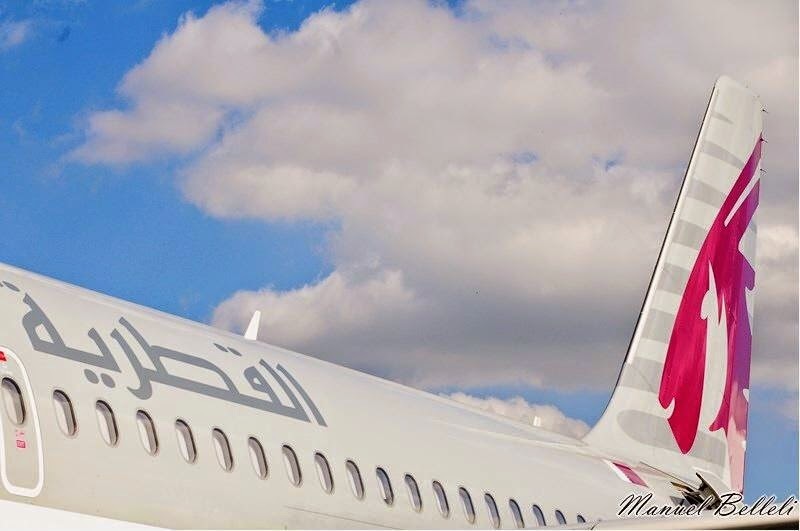 All 3 daily flights will be operated using the A350 by mid-August. 1st Cathay A350 to start Final Assembly phase in coming weeks. With less than 10 months to go before entry into service, production of Cathay’s first A350 is about to move into full swing. The major sections of the MSN29 aircraft are being completed at various sites across Europe, ie. St. Nazaire and Hamburg pre-FALs. 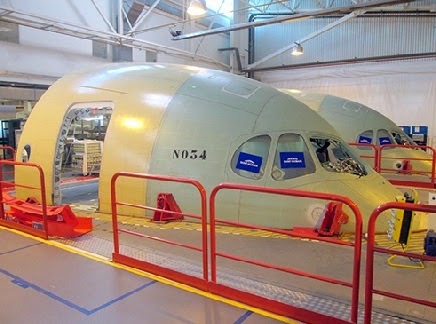 The main fuselage sections are set to commence shipping to Toulouse this month for final assembly. Once on the final assembly line at the Airbus factory, the fuselage, wing and tail sections will be joined together, and by July the aircraft should be ready for its first electrical power-up. 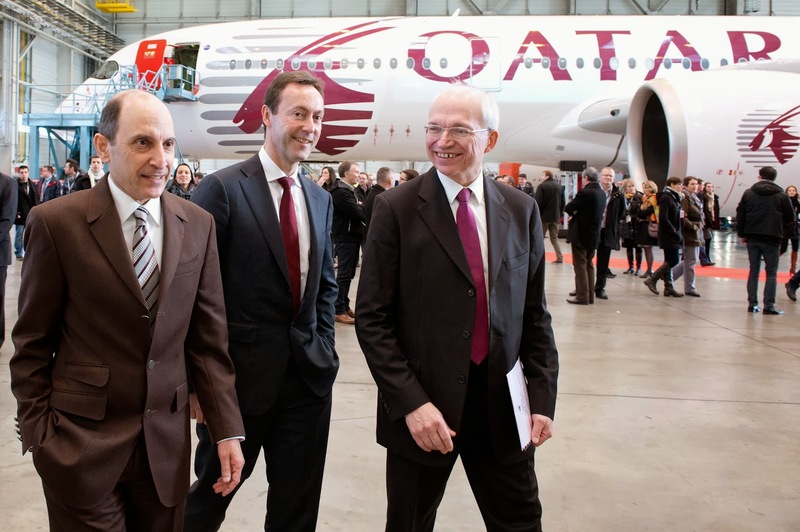 System checks will follow together with the installation of the 2 Rolls-Royce Trent XWB engines and the cabin interior. 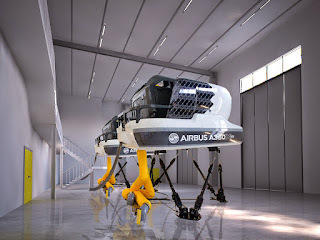 Aircraft painting is planned for November and the first test flight scheduled for December. 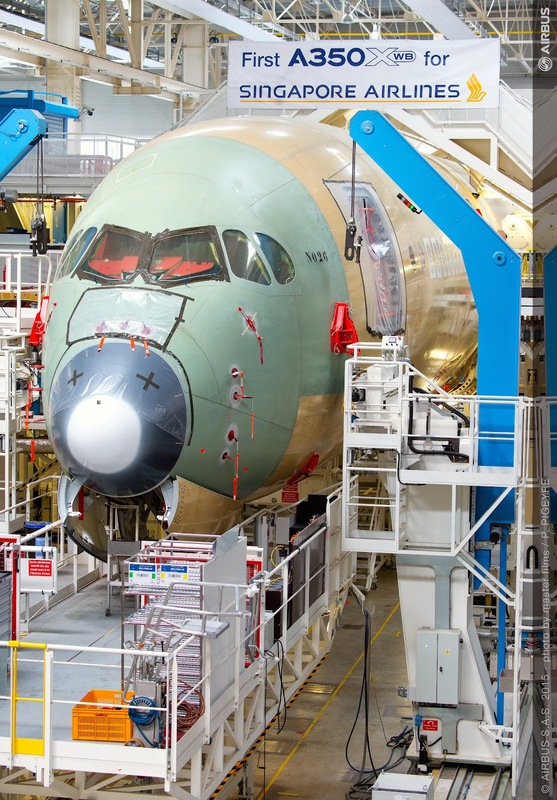 “The customer delivery phase will commence in February 2016 when the Cathay aircraft acceptance team will travel to Toulouse to perform a series of formal acceptance procedures, including test-flying the aircraft,” said Engineering’s Bob Taylor Head of A350 Project. 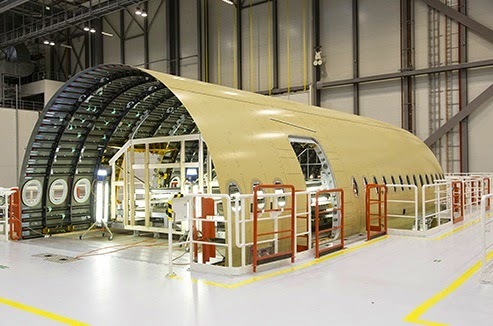 Based on the press release "Final assembly of first Cathay A350 begins in Toulouse this month"
Singapore´s 1st A350 fuselage moving to wing junction in Toulouse. 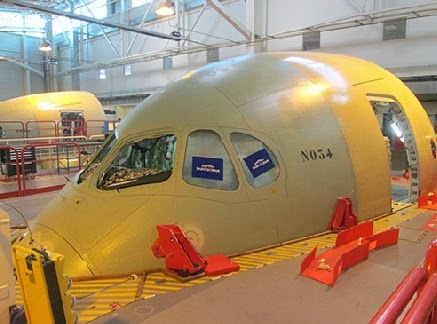 Airbus has begun final assembly of the first A350-900 for Singapore Airlines at its facilities in Toulouse. 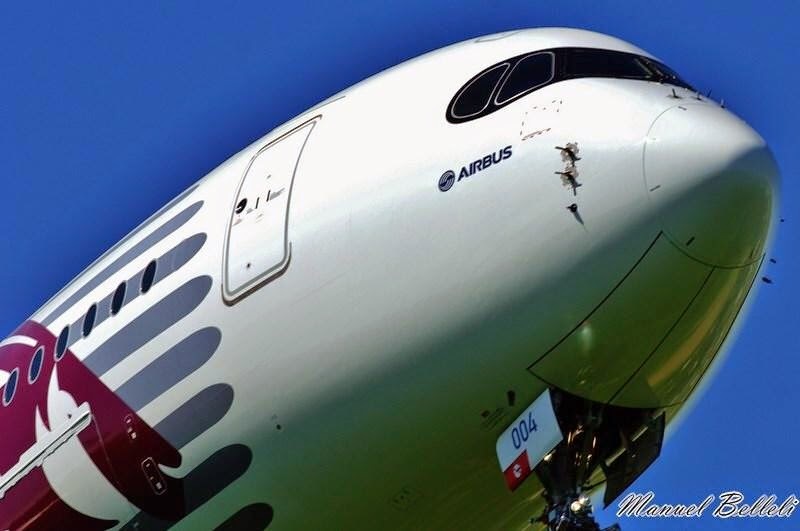 The aircraft MSN26 is the first of 70 A350 XWBs ordered by the airline and is scheduled for delivery in the first quarter of 2016. 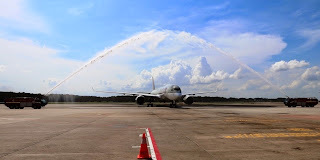 The A350 XWB will form a major part of the future Singapore Airlines fleet and will be operated on the carrier’s medium and long-haul routes. The aircraft is now being moved in from the initial fuselage section joining phase to the wing junction, start of cabin installation and first power-on. 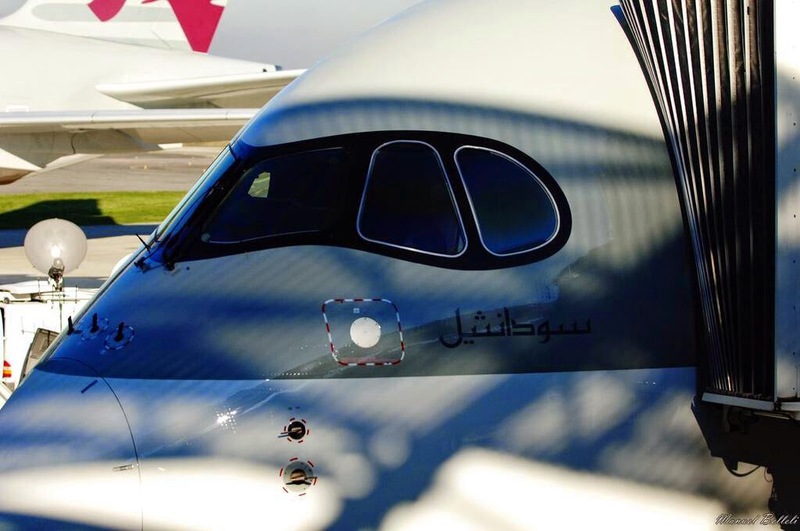 Airbus has announced that an A350 XWB of launch customer Qatar Airways will be on the static display. Throughout the week, MSN2 test aircraft equipped with cabin will take part in the flying display. 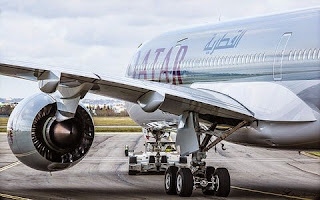 Although it was considered to get the MSN14 with Vietnam Airlines blue livery during the 2nd week of June at Le Bourget, finally the launch customer Qatar has included one A350 on it's huge set of aircraft that will be showcase, including a 787, A380, A319 and A320. Based on the press release "Airbus Group plans major presence at París Air Show 2015". 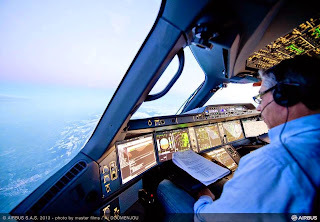 First test flight for Vietnam Airlines A350 in coming weeks. 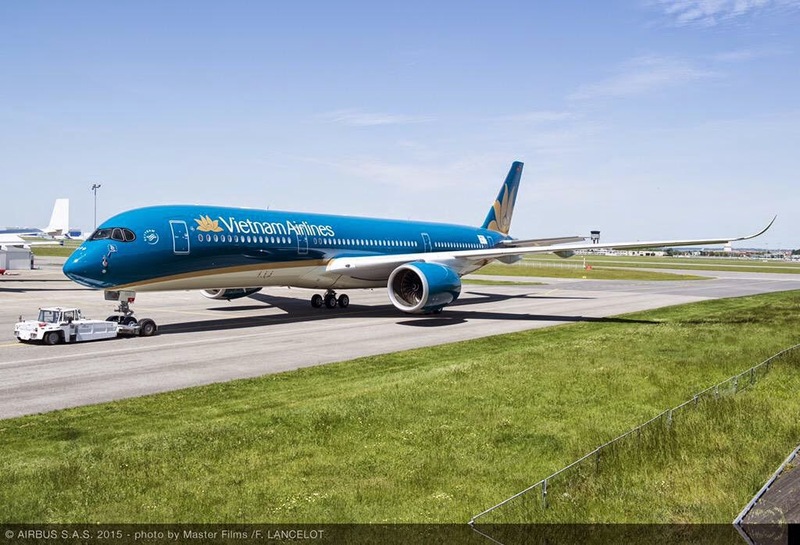 Vietnam Airlines has confirmed that its first A350 XWB has moved to the ground test station to prepare for its first test flight in the coming weeks. 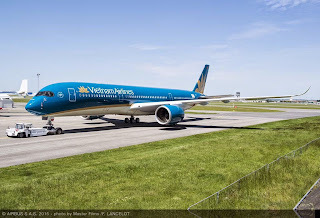 Vietnam Airlines plans to operate A350 XWB fleet on long-haul routes, beginning with Ha Noi-Paris route in mid-2015. The first A350 for Vietnam Airlines is now moving to the advanced phase of production. With the engines installed, the aircraft has entered several days of ground tests prior to first flight. 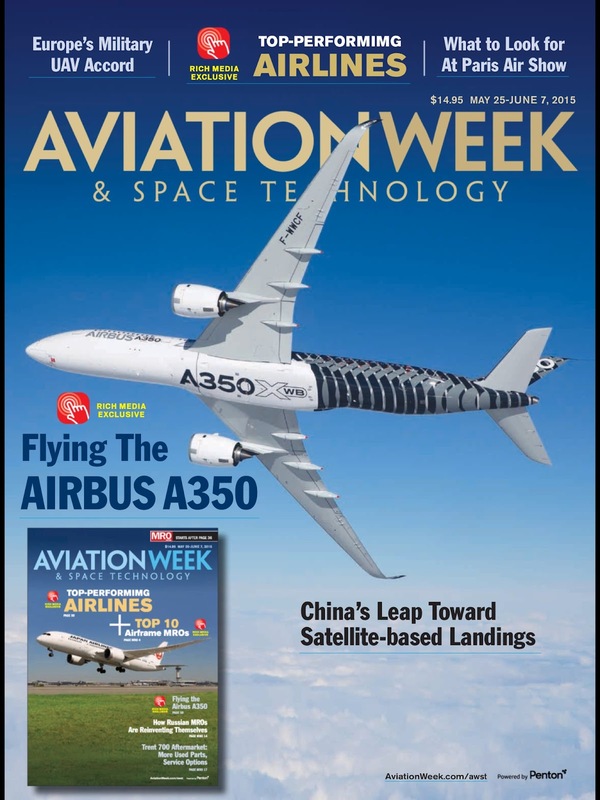 Based on the article “Vietnam Airlines first A350 XWB moves to 'advanced phase of production'” published in CAPA. 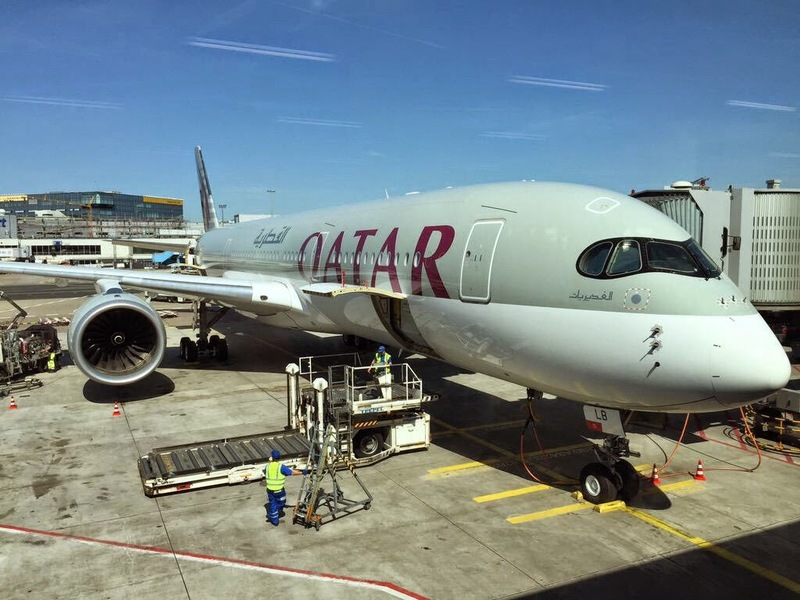 A350 Doha-New York route passenger, load and fuel analysis. 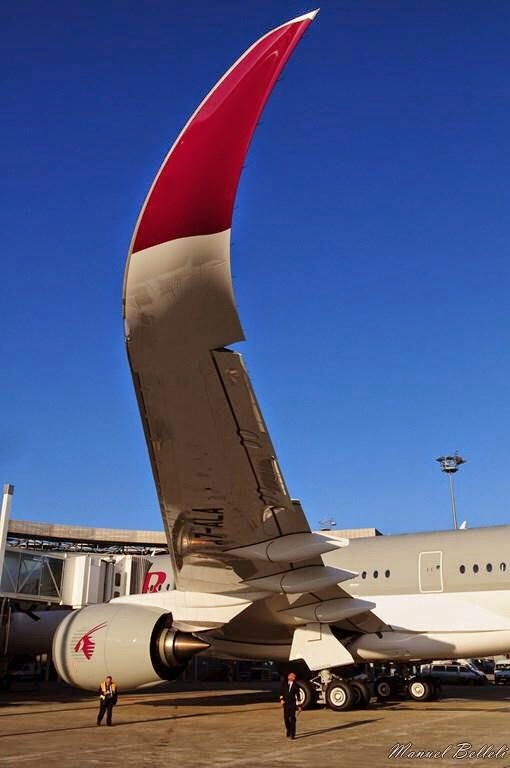 When flying Doha-JFK, the A350 will have to fly into persistent westerly winds. One can see on the planned flight time that the average covered air distance is then close to 7,000nm. 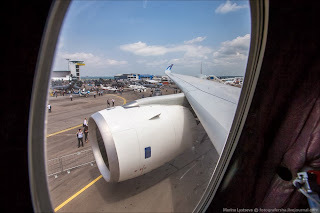 At such distances and a realistic planning for alternates, there would be around 5 tonnes left for cargo at 80% load factor when passenger and bags have been loaded. Going home from JFK to Doha, this could increase to 15 tonnes of cargo as now the winds are in the back. Here the aircraft would be cargo space limited to about 10 tonnes as there would be 25 LD3 positions left after the LD3s with bags are loaded and one count with around 400kg cargo per LD3 equivalent as average density. 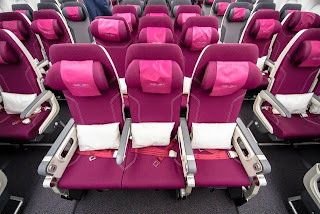 The 777-300ER, which is the present aircraft on the sector, takes 42 business passengers in 78 inch lie-flat seats in 2-2-2 and 293 economy seats in 9 abreast. 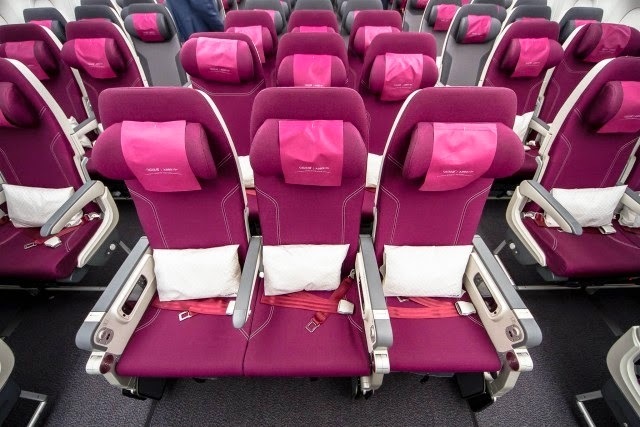 This shall be compared to A350’s 36 business in 1-2-1 lie-flat reverse herringbone and 247 economy in 9 abreast. 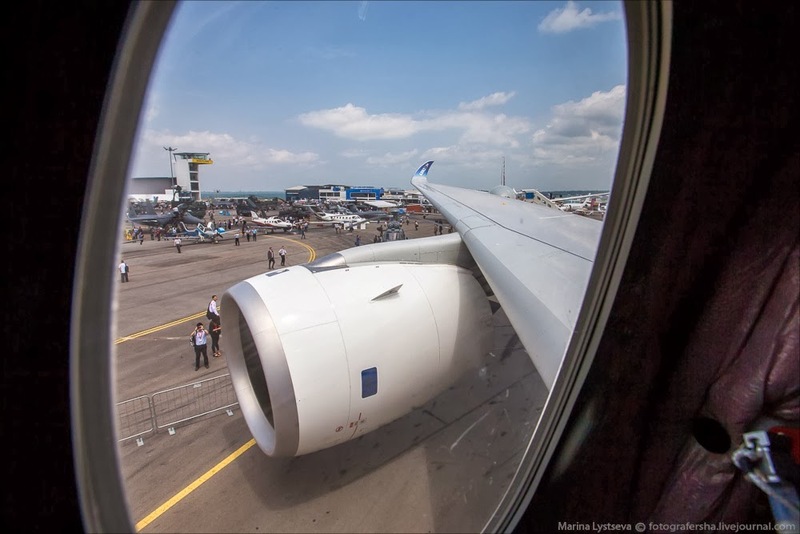 The A350 is thus 15% smaller in terms of capacity but Leeham´s model said it would burn around 35% less fuel when both aircraft fly with 80% load factors and 10 tonnes of cargo. On a per transported passenger basis, this means the A350 will save Qatar around 15% on the fuel bill for its second New York rotation come next year, a nice incentive to deploy the A350 as a complement to the existing 777-300ER. 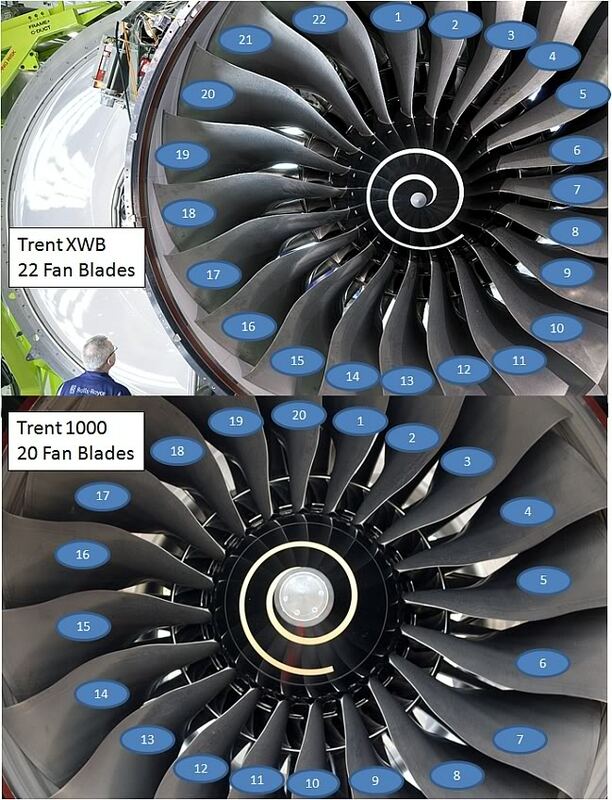 New design improvements for the A350-1000´s Trent XWB-97 engine. 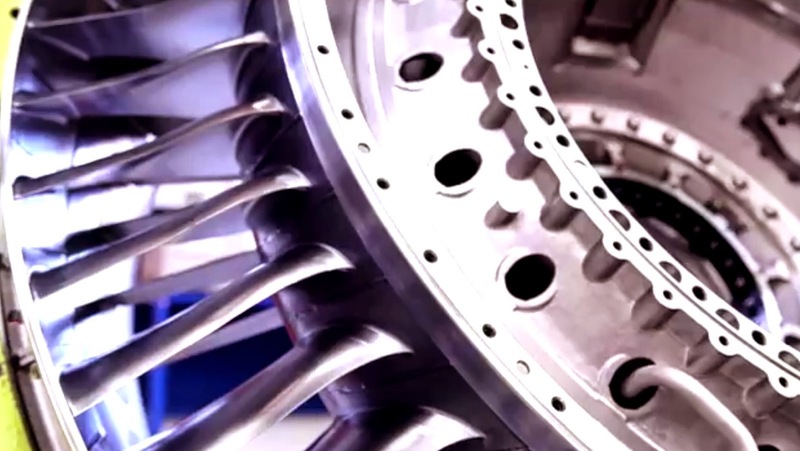 Since making the first run of the XWB-97 in July/2014, Rolls has focused ground testing on the newer design features of the engine. These were introduced to generate 13,000 lb. of additional thrust over the baseline XWB while maintaining the same fuel-burn efficiency, 118-in. dia. fan and external nacelle packaging. 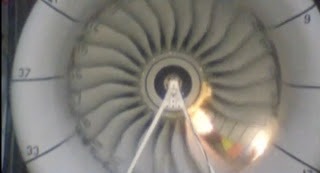 The higher-flow fan turns 6% faster than the -84 and pumps more air. The XWB-97 is also designed with a 5% larger core and higher temperature capability as well as unshrouded high-pressure turbine blades. 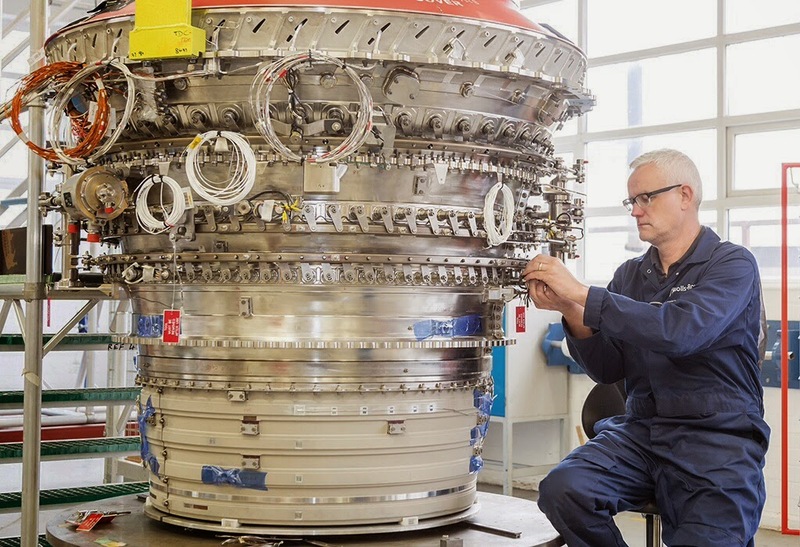 Simon Burr, Rolls-Royce’s COO for Civil Large Engines added that while Rolls was “very pleased with the first engine, which ran for 150 hours,” the company has made some design modifications to improve durability as a result of inspections following a teardown. Chief among these was an adjustment to the gas temperatures generated across the width, or traverse, of the combustor exit. 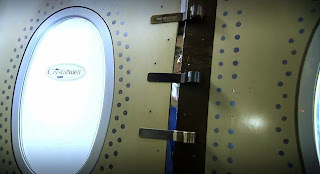 “At the exit point you set up a particular profile in terms of temperature and you match the materials to that. 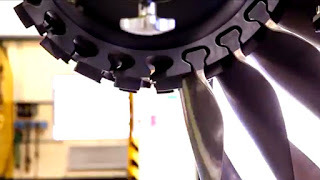 Our first runs showed that profile was flatter than desirable, which would mean the high-pressure turbine blades and nozzle guide vanes would end up seeing a higher temperature than [designed]” explained Burr. Changes were made and tested on a combustor rig and “we have got a really nice match to the design now. 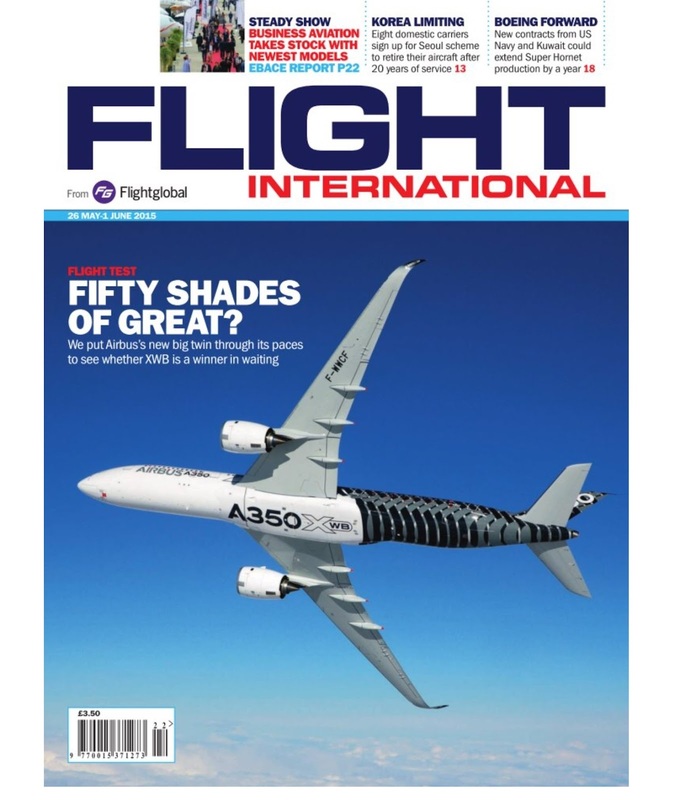 Substantial loss for A350 first produced aircraft, as usual. There is no official information regarding the production costs for A350 but the initially produced aircraft will be delivered at a substantial loss, as it usual for this kind of project. 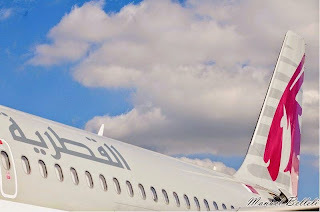 Differently to Boeing these losses will be counted directly in this year’s Airbus and Airbus Group profit and loss. While there was a $434m loss provision charged to the bottom line for 2013 results, there were no charges for 2014 and none announced coming up for this year’s results. 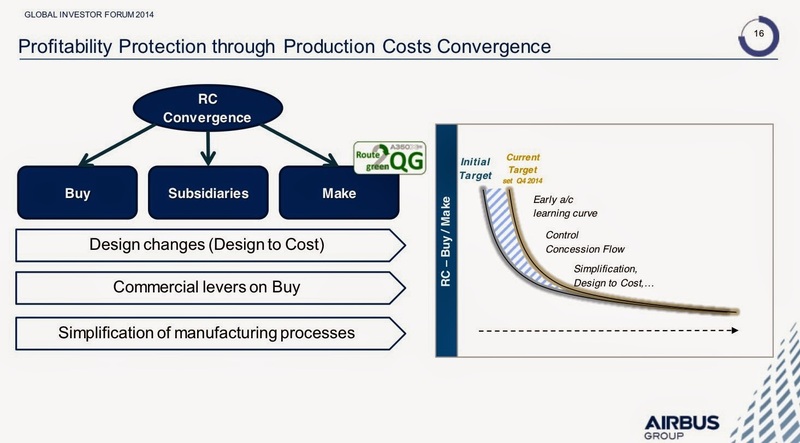 Airbus has launched a Recurrent Cost recovery plan as mentioned in corporate presentations. 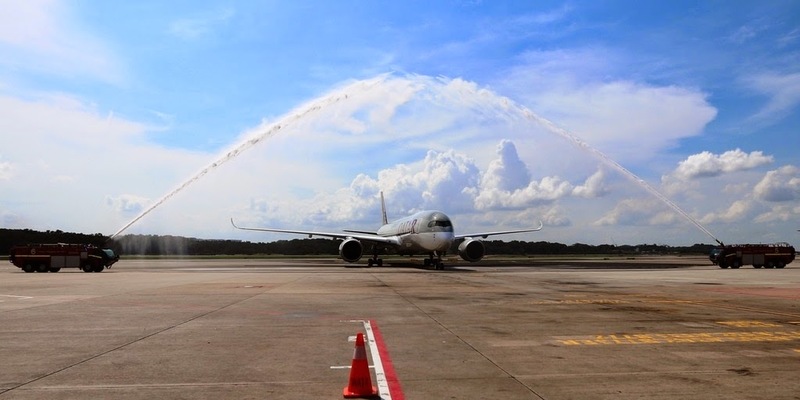 Cathay studying Hong Kong–Tel Aviv route with A350. 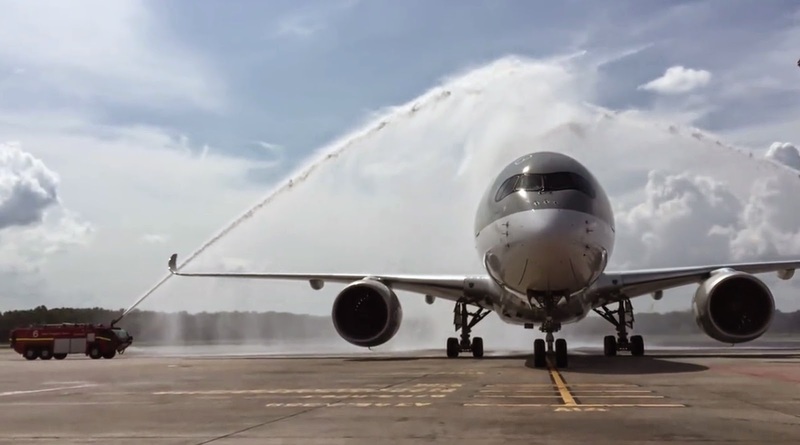 The Hong Kong company has already announced its intention to open new destinations with its A350-900 that will start receiving in February/2016. Tel Aviv could be one of them, according to the Israeli daily newspaper Yedioth Ahronoth, which reports that Cathay Pacific has the idea to open a route between Hong Kong and Tel Aviv by mid-2016 with the Airbus A350. The journal said that Cathay representatives visited Israel to know the procedures that would enablethem to operate. 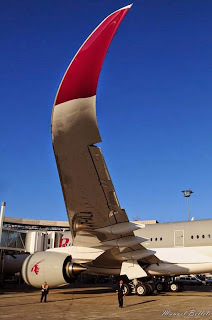 Visits and contacts have been done with the Civil Aviation Administration, with the Airports-operator in Israel and with the authority in charge of security on Tel Aviv's Ben Gurion Airport. If this route finally is confirmed, Cathay Pacific would provide direct competition to Israeli EL ALairline currently offering a direct flight between Tel Aviv and Hong Kong. Cathay Pacific, a member of the Oneworld Alliance, has ordered 22 A350 - 900, which will replace its 10 A340-300 and its 5 Boeing 777-200. 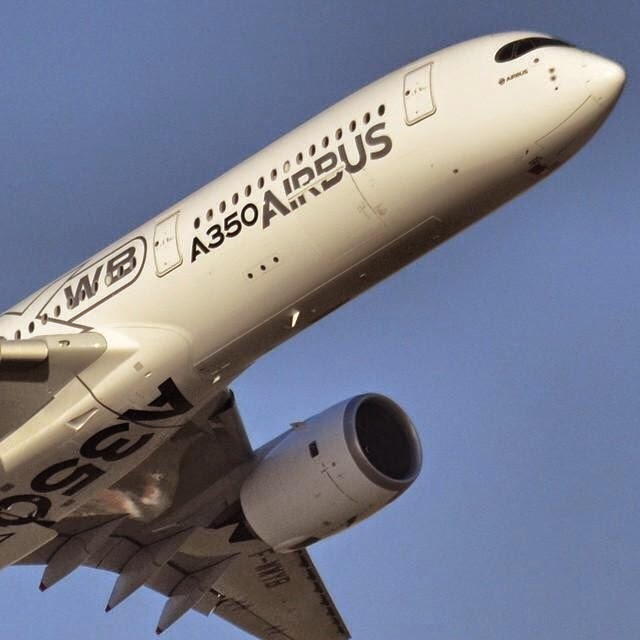 Additional 26 A350-1000 complete the orderbook. 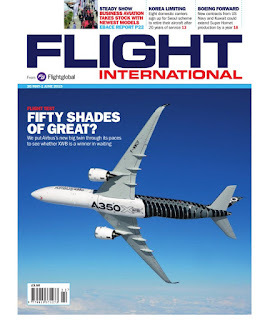 Based on the article “Cathay Pacific envisage de lancer Tel Aviv en Airbus A350-900 XWB” published in Air Info. Medium bird-strike test to be done in coming weeks to the A350-1000´s new XWB-97 engine. 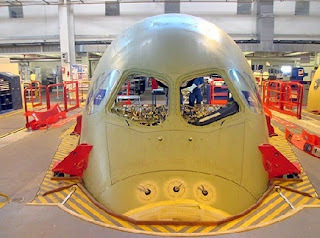 “In terms of clearing the XWB-97 for flight, the icing work is complete and the first phase of type testing has been done. We have to do the medium bird-strike test, and we will be doing that over the next few weeks,” saidSimon Burr, Rolls-Royce’s COO for Civil Large Engines. “When we built the first engines we used a different harness technology to experiment with it, but here we have aligned it so it will feel the same to a mechanic servicing either the -84 or the -97,” saidBurr. 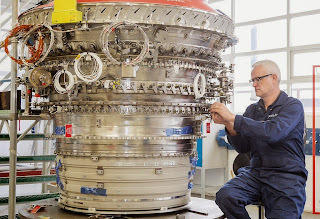 The 2 engines already share 80% of the same line replaceable units, but Rolls is refining the configuration to increase the “feel” of commonality. “It’s about things like where things will be positioned. We’ve done a lot of design changes to align it to the first A350-900 in service in terms of the -84 engine,” he added. 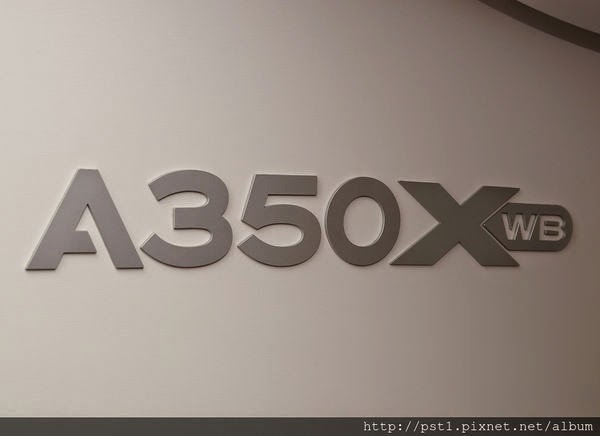 Taiwan-supplier for A350 engine parts builds a new facility. Taiwan´s Aerospace Industrial Development Corporation (AIDC) is investing $41.5 million to construct a third factory, dedicated to engine casting work. 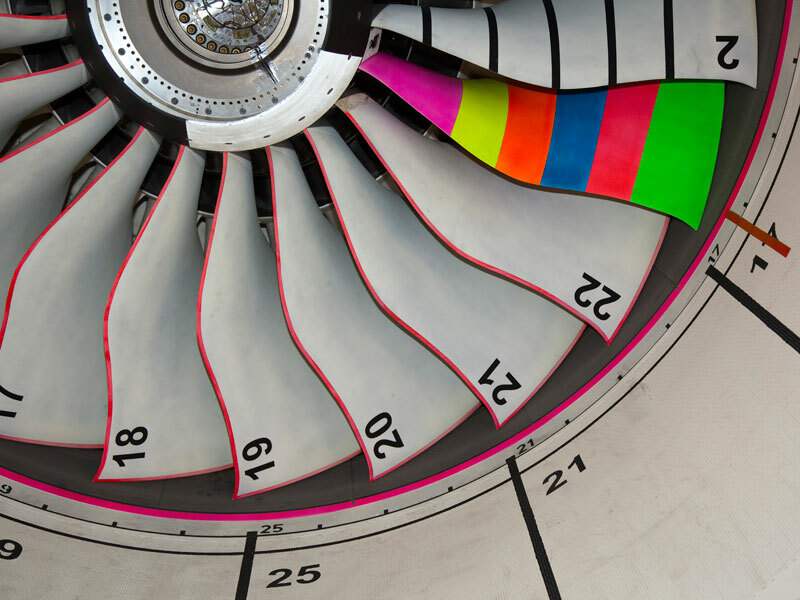 The facility, which will focus on work for the Rolls-Royce Trent XWB, could in the future also work on CFM International´s Leap engine, said AIDC. The new Kaohsiung factory is expected to be completed by the end of the year and scheduled to be operational in the 2nd quarter of 2016. 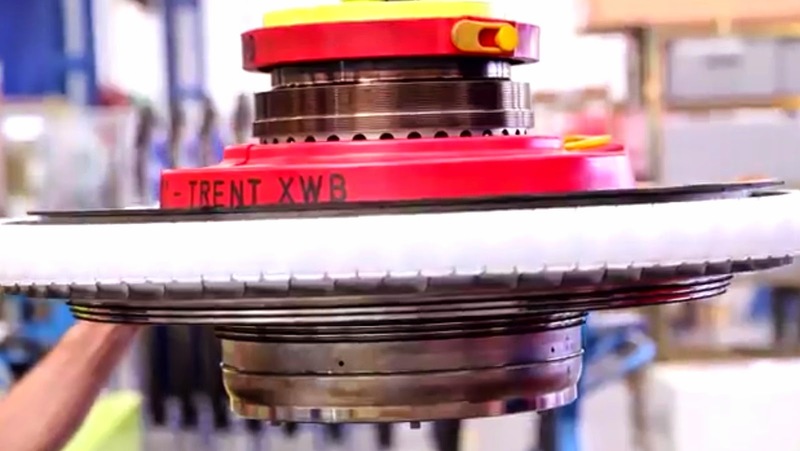 Based on the article “AIDC to build on Trent XWB success” published in Flightglobal. 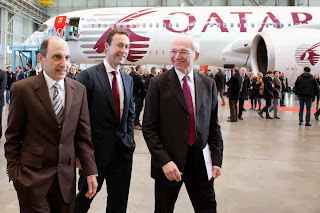 Qatar Airways CEO Akbar Al Baker said Airbus should consider a larger variant of its new A350 wide-body and upgrade its A380 superjumbo with new engines to make the jets more appealing. 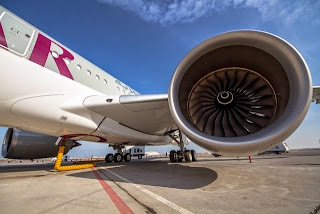 The mid-sized A350-900 recently added to Qatar’s fleet represents the latest in civil aviation technology, while the Boeing 777X-9 will probably form the backbone of fleets of many major airlines once it’s introduced at the end of the decade, Al Baker said at a conference in Dubai. 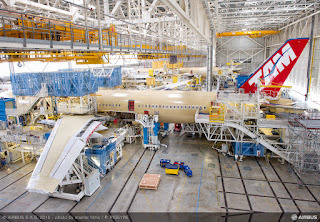 Airbus should consider an A350 type larger than the -1000 stretch version to retaliate, he said. 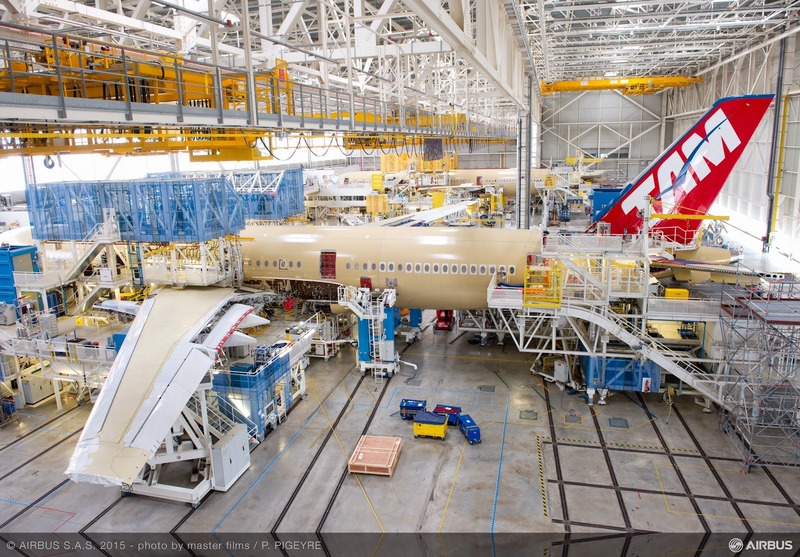 Airbus’s largest aircraft have struggled to sustain their order momentum, with the A380 in particular failing to win fresh deals in recent years. Al Baker said the A380 would be a “killer” with a 10-15% lower fuel burn, an advantage Airbus might achieve with new engines, and that he wouldn’t buy more of the planes in its current form. 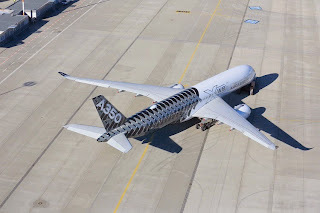 “This plane has a very big potential but Airbus have to put their hands in their pocket and take this aircraft a step higher,” Al Baker said, declining to give a number of potential follow-up orders should Airbus opt for a neo option. New training Center in Singapore with four A350 full flight simulators. 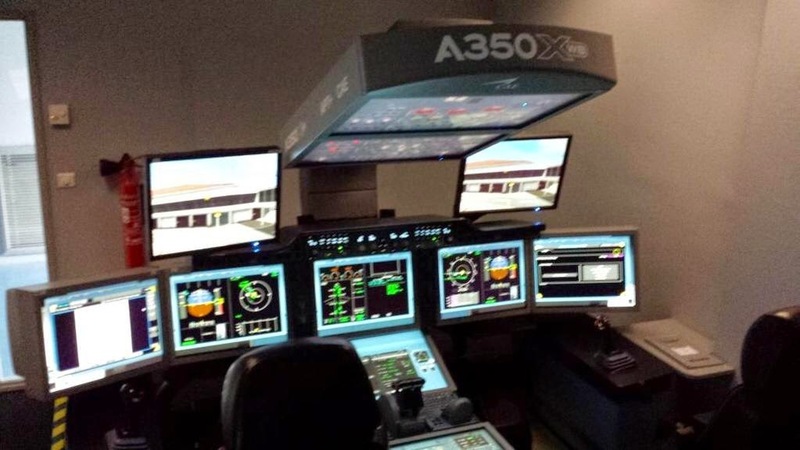 Construction of the new Airbus Asia Training Centre (AATC) in Singapore is now underway, following the completion of initial ground-breaking works. 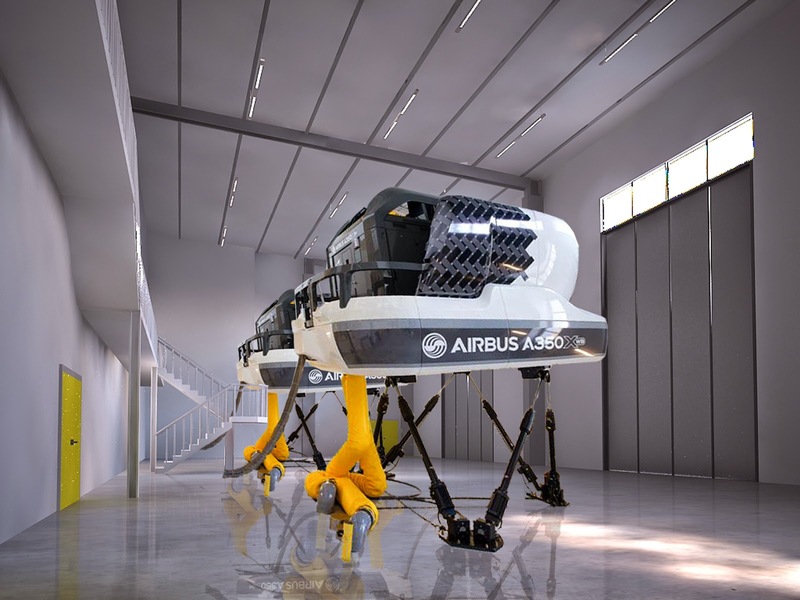 Due to open in the first quarter of 2016, the new facility will offer type rating and recurrent training courses for all in-production Airbus types. 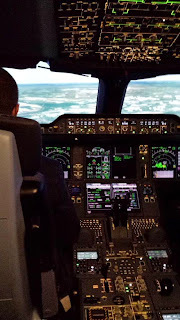 The 9.250 m2 state-of-the-art facility, located at Seletar Aerospace Park, will be the 4th Airbus flight training centre in its global network, joining those in Toulouse, Miami and Beijing. 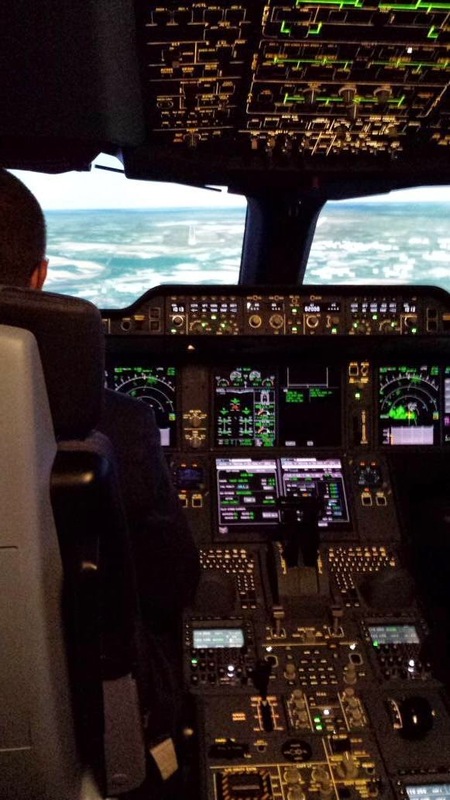 When fully operational, the Singapore centre will feature eight full flight simulators, including four A350 XWBs, one A380, one A330 and two A320s. 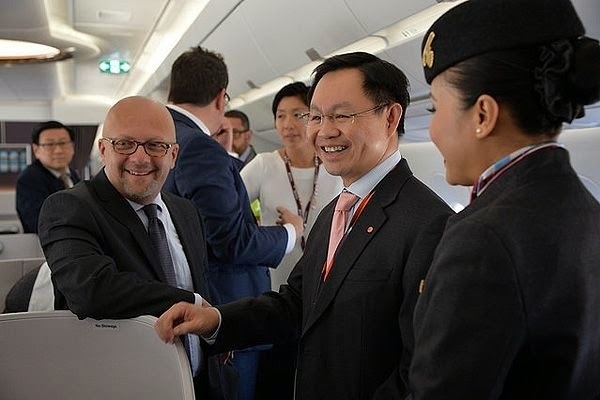 "AATC is a true win-win partnership for Singapore Airlines and Airbus," said Singapore Airlines' Senior Vice President Flight Operations, Captain Gerard Yeap. TAMs first A350 final assembly progress towards delivery in 2015. 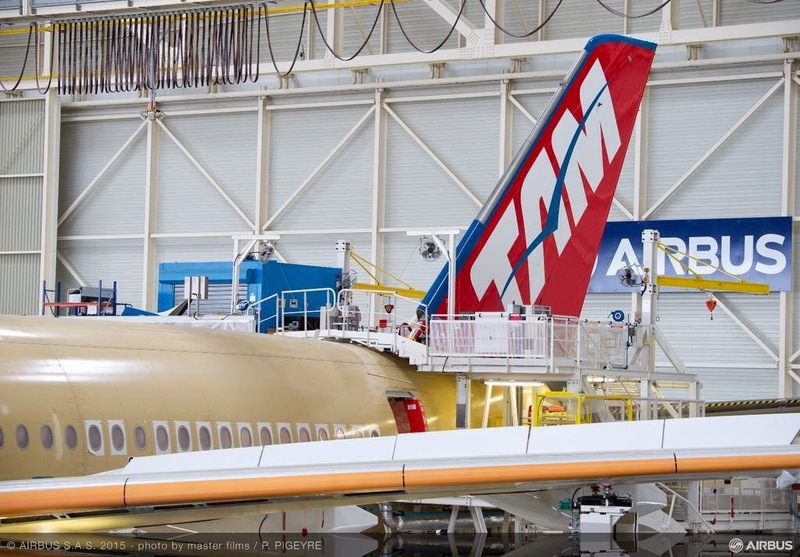 The first A350-900 for TAM Airlines is progressing well in the Final Assembly Line (FAL) in Toulouse, with joining of the wings, the horizontal and vertical tail plane, the main landing gear and the tail cone to the fuselage. 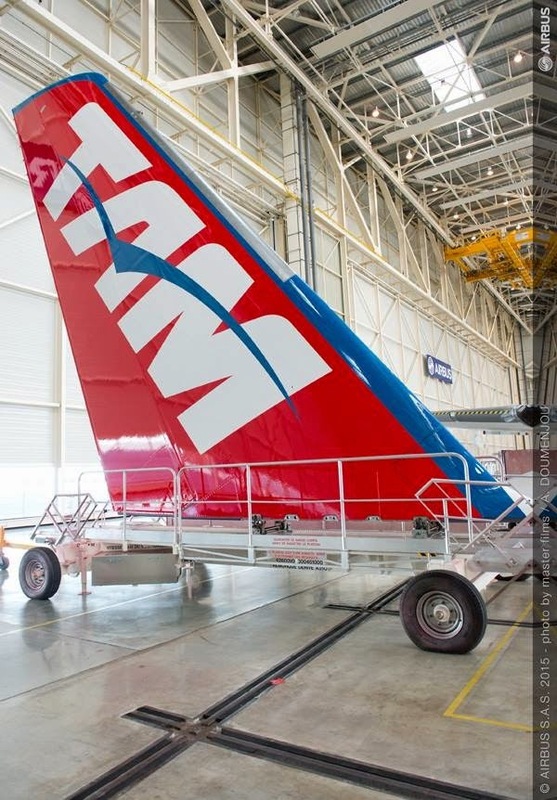 TAM will be the first airline in the Americas to fly the A350 XWB and the 4th operator in the world overall. 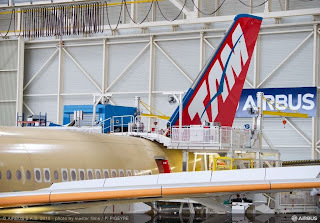 Delivery of TAM’s first A350 XWB is scheduled for the end of this year. TAM has a total of 27 A350 XWB on order.